Chocolate Covered 8 ounce Beverage. Great Gift! 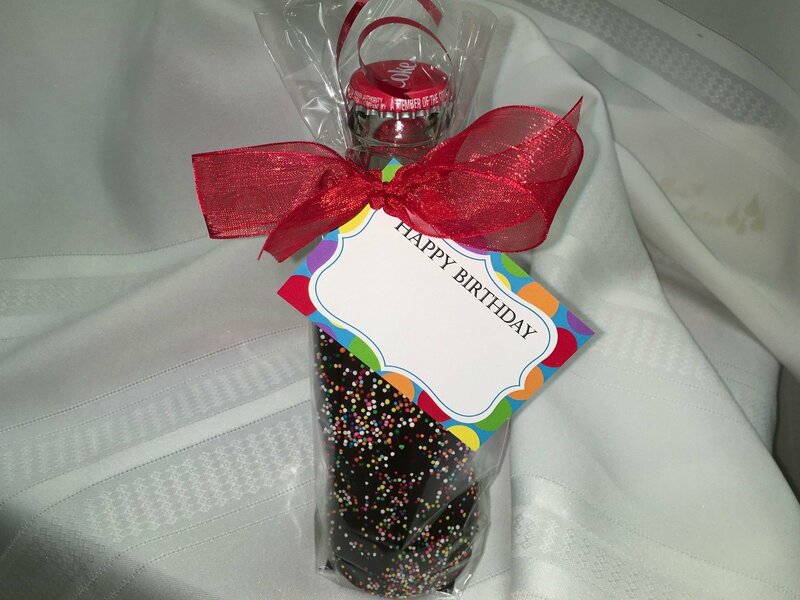 We shrink wrap a food safe bag around the bottle with ribbons underneath. (Chocolate never touches bottle). Then we dip it in our Chocolate Kettle. Unwrap and pull ribbons and your chocolate comes off easily. A candy bar and beverage all in one! Unique. Available in Dark Chocolate with Milk swirls. Bottles may be decorated lightly. Everyone is unique. Bring us your personalized tags and we will add them or order them from us.